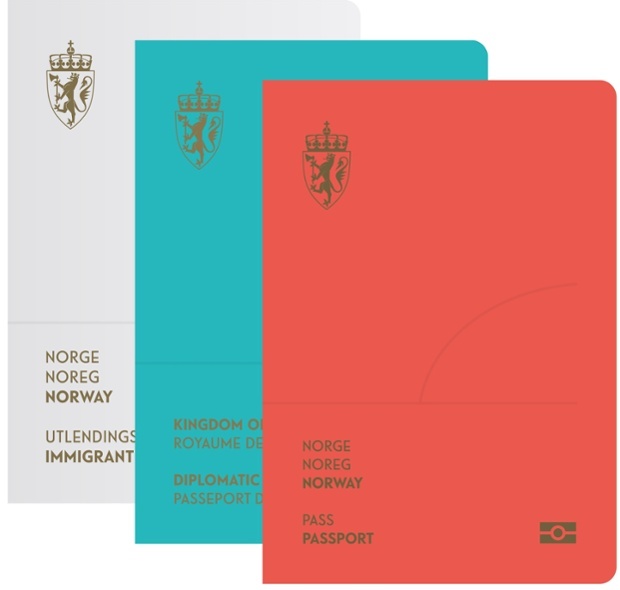 Home › Culture › The Guardian: Norway’s New Passport – Already a Design Classic? A competition to redesign the Norwegian passport has been won by an Oslo design company that has created a modern, bold document already winning praise for capturing the national identity. 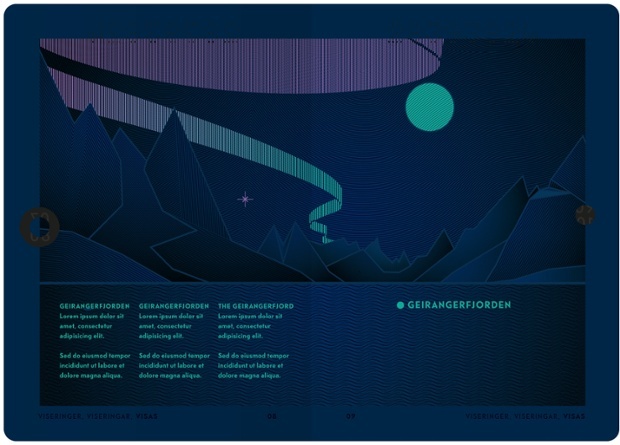 Nordic cool: Oslo design studio Neue have won a competition to create a new passport and ID concept for Norway. Photograph: Neue. 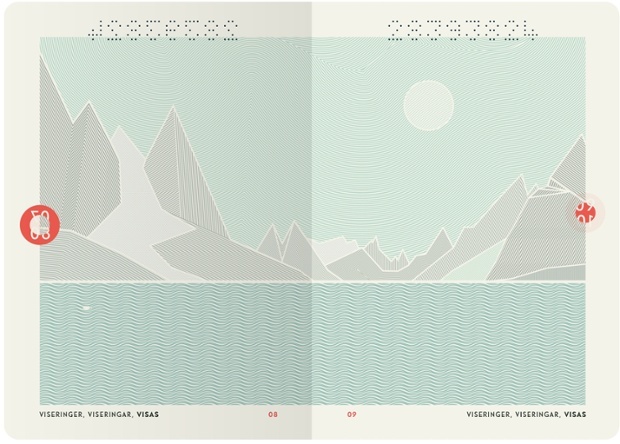 If the passport is a symbol of national identity, then the new design for Norway’s travel documents has undoubtedly cemented the country’s reputation as a land of sleek, minimalist beauty. 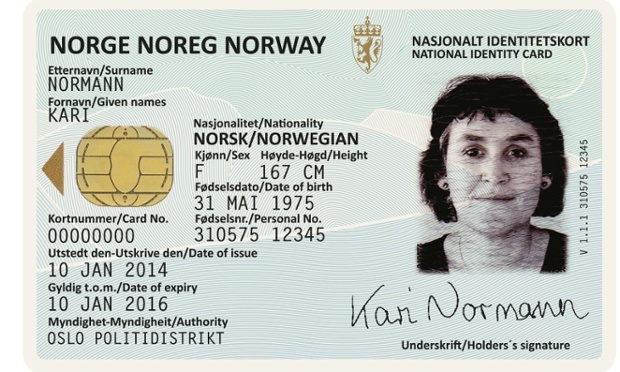 This week, Norway’s National Police Directorate announced the winners of a competition launched in February to find a new design concept for the nation’s passports and ID card. The winning entry, by Oslo design studio Neue, features beautifully simplified depictions of Norway’s natural landscapes drawn with fine lines in pastel shades. The cover features a modernised version of the national crest, stamped in gold on unusually bold colours: either white, turquoise or red for immigrant, diplomat and standard passports respectively. When shone under a UV light the Northern Lights become visible on the pages. Photograph: Neue. When shone under UV light, the landscapes within the pages transform to show the northern lights in the night sky, a magical touch that adds a deeper sense of intrigue to the already striking document. “All Norwegians are so connected to nature, it’s a very strong part of our history and defines us as a country,” says Gørill Kvamme of Neue, who explains that the minimal concept came from seeking to find the “essence of something”. Praising the design, the jury applauded its wide appeal. “It both illustrates the Norwegian identity and makes sure the passport will be viewed as document of high value,” they said. “The design is attractive and stylish, the colours are subtle and the abstraction of the landscapes are exciting. Now Neue will work closely with the National Police Directorate to find a way to balance the design with the complicated security expectations of a passport – something they are not currently able to discuss in detail. No date for the passport’s release has been set but it is expected to be within the next two years. Passports aren’t the only national symbol the state has opened up to the country’s design teams. Last month – as a result of a similar competition – Norges Bank picked proposals from design studios Snøhetta and The Metric System for their new kroner notes. Pixelated and also featuring bold colours, the new notes are due to be released in 2017.